Speed and quality are the core essentials for serving the healthcare sector effectively. The challenges and undying demands of the sector have led to major inventions and enhancements. Digitization is one of the major breakthroughs that healthcare has witnessed. It implies connecting people and devices, and deriving meaningful inferences from the data generated to offer better services. This establishes that digitization is capable of transforming the sector and enabling healthcare to offer better services. However, there are various questions concerning digitization in healthcare – benefits of digital ecosystems for CIOs, need for advanced analytics to drive major changes, the investments required for taking the digital leap, and expected performance of applications. 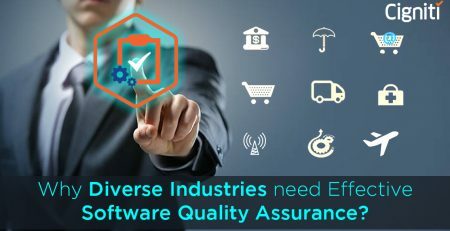 Quality Assurance and Testing is enabling enterprises to answer these questions and implement better digital strategies for the sector. Technology is the biggest transformation point in the healthcare sector, wherein applications are being created to deliver service anytime anywhere and connected devices are helping experts to deliver their services even from a distance. There are a growing number of healthcare products such as wearables and a number of applications associated with them. These products have a big market and have a tremendous impact on the economy. Consequently, healthcare products need to deliver accuracy and precision, which is possible with robust testing and quality assurance. Moreover, the idea of home healthcare is changing the way healthcare functions, which demands easy and quick access to healthcare. On-demand medical assistance is the new paradigm in the healthcare segment. Home healthcare is a rising trend and is expected to grow in the coming years. There are some evident reasons for comprehensive testing in the healthcare sector. Let’s look at a few. 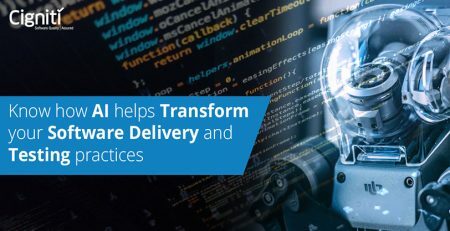 Healthcare involves devices and applications that need to interoperate and connect to deliver the required experience to the user. The sector has a huge demand for interoperability, regulatory compliance, security, and data privacy. There is a need for healthcare application testing that involves technology expertise, major time and resources, and costs. This has to be done diligently, as it determines business sustainability and also involves compliance issues. This requires rigorous testing and a thought-through quality assurance plan. These tests need to be recorded and repeated for audit and compliance purposes. Test automation is implemented to create a strong QA environment and ensure that every aspect of the product/application is tested to assure interoperability. For instance, healthcare wearables interact with users via mobile applications. If both the wearable and the application do not work in sync, they might not show accurate results. With the innovation around IoT and smart devices, there is a need for devices, software control, and application to integrate with the core software. Across healthcare products and applications, it is important to ensure that the software is fit enough to deliver the required performance and service. For instance, consider a hospital application that helps patients to generate reports with a secure log in. The application must be functional all the time to deliver the required service accurately. Software testing helps to validate business workflows, and take performance measures to ensure the desired results. This is done by monitoring the strategy, implementation, and execution on every defined parameter. Consequently, this helps in ensuring the highest quality output within shorter development cycles. Quality Assurance further ensures comprehensive coverage across all the scenarios and setups, which helps achieve complete testing. Healthcare applications have sensitive data about patients and their health-related information. It can lead to a major breach if the applications are hacked for information. Security Testing with Penetration Testing helps to make application hack-proof and sustainable in the challenging digital scenario. Validation and authentication of user log-ins, testing against firewalls, and encrypting user data are some key measures. Quality Assurance and testing is essential to ensure the security of these applications. Healthcare applications or products need to adhere to the stringent Health Insurance Portability and Accountability Act (HIPAA) requirements that ensure protection of Patient Health Information. With effective QA all the information flow across channels can be eased out and kept secured. Healthcare is a highly data-intensive sector with tons of patient information and health conditions. This data is essential for healthcare institutions and associated segments to devise the right strategy and build relevant products. Big Data solutions are implemented to derive the right inferences and data points. It helps in making informed decisions regarding drug inventions, disease cure, research and development, and much more for the healthcare sector. Big Data solutions need to be implemented effectively within the organization’s ecosystem. This requires Big Data testing for flawless implementation, which leads to expected outcomes. Usability Testing is critical in the Healthcare sector. For instance, there are various features and user scenarios that pharmacists and nurses face innumerable times during the working hours. These tasks can be eased out with automation and adding features that can simplify the tedious process. The User Interface and User Experience of healthcare related apps and devices can also be enhanced with much needed Usability Testing methods. Healthcare systems need to ensure increased efficiency and productivity in order to serve the patients in a better way. Applications are getting complex and it is important to ensure that they function effectively without any interruptions or interventions. Quality Assurance ensures that all the nodes of the application work seamlessly to provide a holistic experience to the users. This ensures productivity and sustainable growth to the players in the healthcare segment. Security of patient data, secure interface for the applications, good turnaround time, interoperability of devices, and flawless performance are some key areas that the healthcare sector has to deal with on a daily basis. 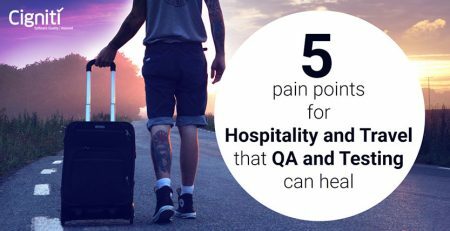 Quality Assurance and Testing helps healthcare organizations to deliver relevant solutions to the patients or any kind of consumers. Lifestyle healthcare technology products is a big market. A recent report by MarketsandMarkets estimates that the Wireless Health Market will be worth 110.12 Billion USD by 2020. In order to get the required market share, product companies need to be much more market-ready and build applications with enhanced features to lure the consumers. At Cigniti, we help transform innovative designs into reliable and successful products with our independent verification & validation (V&V) practices for Medical devices Testing. Our V&V services include an end-to-end test life cycle offering involving process, people, and tools. Our experts test an entire gamut of healthcare applications, tools, and devices in the healthcare sector. Connect with us to build trending and user-friendly products and applications that not only bring profitability for your organization, but also extend better services for the users.